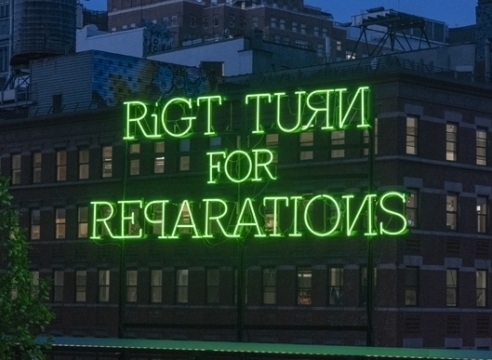 chmera, Pope.L’s first ever outdoor sculpture, is a double-sided text-based neon that reads RiGT TURN for REPARATIONS. 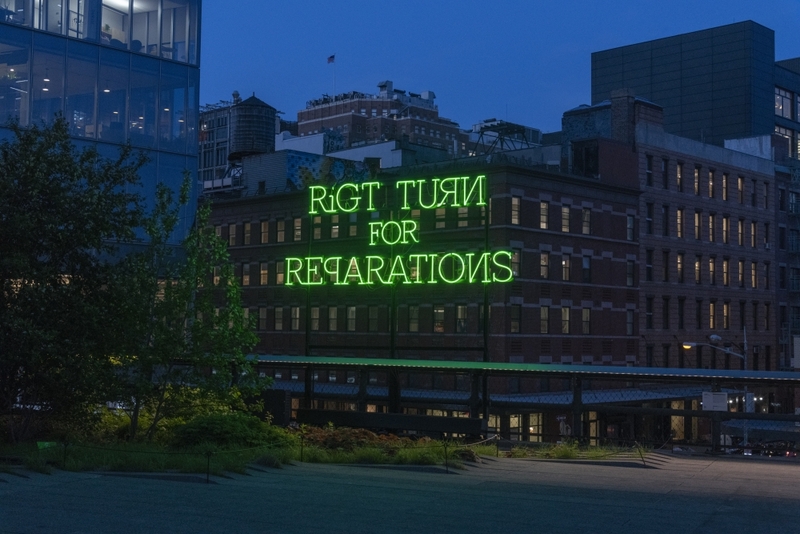 Its letters vary in cases and directions while flashing green then red before going dark. The title of the work appears to be a deliberate misspelling of chimera, a word that both describes a beastly mythological creature and an impossible fantasy. Agora will be on view through March 2019.